RAVENOL USVO® RHP Racing High Performance 75W-90 is a modern, PAO (poly-alpha-olefin) based fully synthetic racing gear oil with USVO® Technology. It was developed for use as a manual and differential oil for use in racing vehicles and is particularly recommended for use in manual transmissions and rear axle with integrated locking differential. The USVO® technology offers high performance, improved gear protection and optimized gear cleanliness for your vehicle. The special additive package guarantee limited slip properties, a high load carrying capacity, stable viscosity, optimum wear protection, low foaming, proper lubrication and actually lowers the temperature of the transmission. The special formulation offers excellent thermal and shear stability, even under the most arduous and stressful conditions. Tested at the Nürburgring and our partner circuit, the Hockenheimring. Used and recommended by Opel Motorsport and our BTCC partner teams, Eurotech Racing and BTC Norlin. 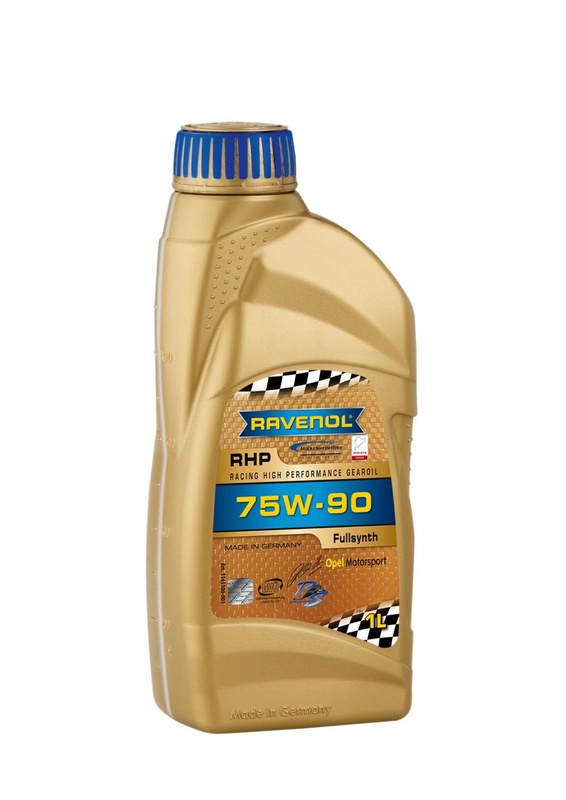 RAVENOL RHP 75W-90 is designed for use in both synchromesh and non-synchromesh competition and motorsport gearboxes, as well as for very high performance road and track day applications. Especially suitable for high performance sequential transmissions, as well as for use in FWD applications where both a synchromesh gearbox and limited slip differential are using a common lubricant. A stable high-pressure lubricating oil film even at high temperatures. Excellent shear stability for longer fluid life. An excellent aging resistance and high oxidation resistance. Exceptional wear protection, with excellent EP characteristics. Very low foaming tendency even at high speeds. Compatible with all non-ferrous metals and all types of sealing materials. Small amount of friction modifier in the formulation ensures suitability for use in FWD applications where both synchromesh gearbox and limited slip differential are present and share a common lubricant. Mega quick delivery, top quality oil, what more do you want? !